A few years back, LG for Mobile World Congress showed off one of the wildest devices I had ever seen. With a bit of finagling, you could pop off the bottom of the G5’s body and swap it out with a camera controller or a high-quality audio DAC. The idea didn’t last long, but it spoke to the kinds of risks the company was willing to take to build (what seemed to it, at least) like a winner. I bring up the G5 now, years later, because it was ambitious and interesting in a way most smartphones weren’t back then. With LG’s new, $820 G8 ThinQ, that unorthodox thinking is once again on display. Sure, it does basically the same thing as every other pricey smartphone this year — short of folding in half, that is. 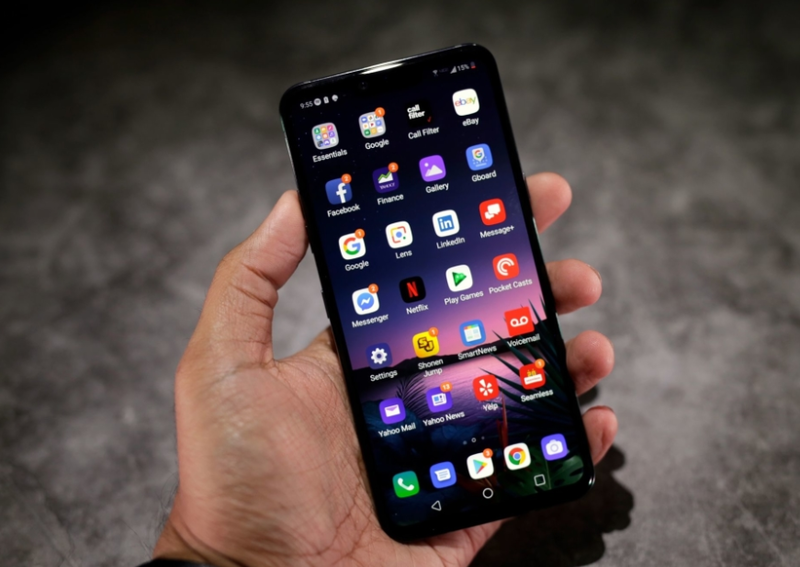 But there are a few extra tricks here that you won’t find elsewhere, and they’re interesting enough on paper that LG’s flagship once again earns points for ambition. Ambition without concern for usability, however, is the perfect recipe for disappointment. Is it any surprise that’s exactly what the G8 turned out to be? Credit where it’s due, LG did make some good decisions with the G8. I’m a sucker for smartphones with clean designs, and the G8 is noticeably sleeker than some of the company’s recent devices. Both of the phone’s main rear cameras now sit flush with the G8’s back, and the phone’s body is noticeably nicer to hold because of its curved, near-seamless glass-and-metal construction. I’ll never turn my nose up at a headphone jack, either, and it’s especially useful here. Ironically, to get a full sense of how the G8 sounds, we need to turn our attention to its screen. On the surface, it’s a perfectly pleasant 6.1-inch P-OLED display, running at 3,120 x 1,440. Expect bright colors, crisp details and none of the blemishes found in some of the company’s older panels. For once, an LG screen has left me without complaints. More interesting is the fact that in its quest for ultimate sleekness, LG gave up on the front-facing earpiece entirely in favor of a Crystal Sound OLED that essentially turns the entire screen into a speaker. This isn’t the first time we’ve seen something like this — the first phone I reviewed with a similar screen launched in 2014 — and it’s certainly not going to be the last. That’s fine by me, too, because it works like a charm: The audio piped through the display always came through clear and surprisingly loud. This odd, screen/speaker/amplifier combination is supposed to help when you’re listening to music without headphones or watching a YouTube video, too, but it doesn’t really. LG’s approach here was clever: By working together with the single speaker etched into the phone’s bottom, the screen is supposed to help deliver balanced stereo sound. Instead, what I got was loud but hollow and unsatisfying audio. For those keeping count, this is the first time we’ve discussed an ambitious feature on the G8 that didn’t live up to expectations. It won’t be the last. If nothing else, the G8 is plenty fast, thanks to the Snapdragon 855 chipset and 6GB of RAM inside. Over the past week, I’ve put it through the wringer as my daily driver, which involved lots of work-related multitasking and killing time in Fortnite, PUBG and Into The Dead 2. Thankfully, I didn’t notice as much as a dropped frame or a performance hiccup, even when I was specifically trying to push the G8 hard. That’s no surprise though: Every other flagship phone we’ve tested this year with the same components has been just as speedy. When we’re talking about flagship phones like this, exceptional performance amounts to table stakes. I’ve had my issues with LG batteries in the past, but the G8’s 3,500mAh cell held up quite well. In general, I’ve been able to count on it for close to two full days of fairly consistent use on a single charge. Even on heavier days, like that Thursday I was running around Chicago testing a 5G network, the G8 still had enough juice to last well into the following morning. That’s considerably better than what my colleague Nicole got when she reviewed last year’s G7, so at least LG got that right. To be clear, the G8 is the result of some peculiar decisions and is far from perfect, but at least there’s more than enough power for just about anyone. The G8’s camera is pretty solid too, though it might feel familiar to some. 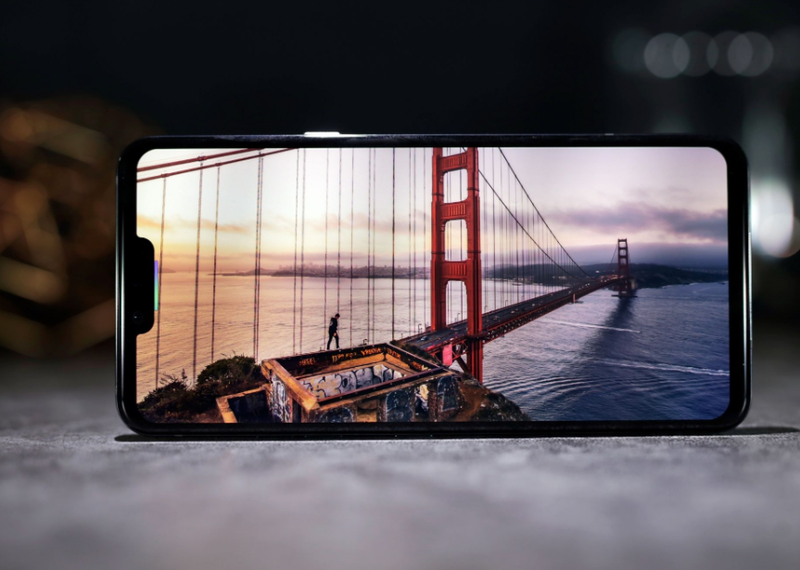 That’s mostly because the main 12-megapixel camera (with an f/1.5 aperture, OIS and a 78-degree field of view) and the 16-megapixel ultra-wide camera (with its 107-degree field of view) feel like they were plucked right out of last year’s LG V40 ThinQ. In general, that’s not a bad thing; the sample shots I’ve taken so far largely look bright and nuanced, no matter if you’re looking on a phone or a computer. Color saturation is generally quite solid too, especially when LG’s AI Cam is around to recognize the scenes in front of it and make fiddly tweaks when appropriate. Considering how good some of the cameras we’ve seen this year have been, though, the G8’s camera can’t help but come up a little short. 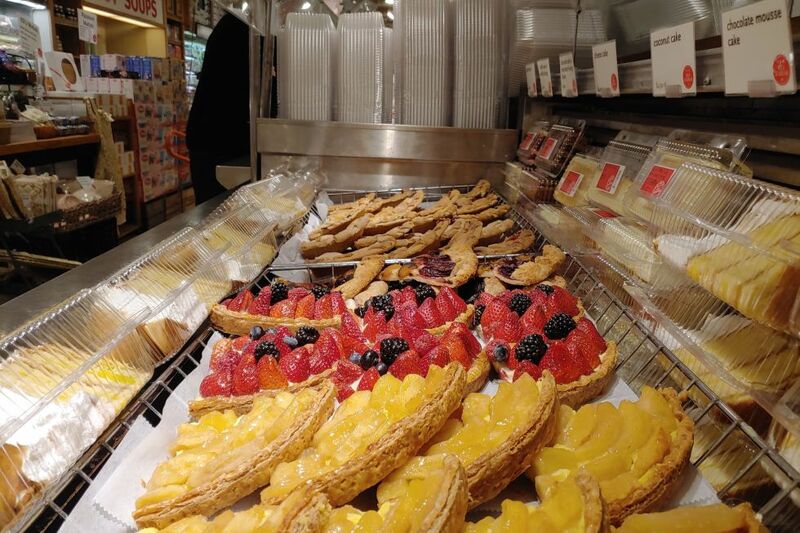 The dynamic range you’ll find in these shots pales in comparison to what devices like the Galaxy S10 are capable of, and the wide camera seems especially prone to overexpose photos taken in broad daylight. And no matter which camera you use, LG’s software occasionally goes overboard with the processing. Most often, that results in unnaturally sharp looking edges where they shouldn’t be (like, say, among a bed of flowers). There are a few helpful new flourishes here, like a Night View mode that stitches together multiple exposures to create brighter photos. Those Night View photos are indeed better than ones taken in the dark without it, but not dramatically so — the feature mostly seems to help draw out some additional detail. It’s handy, but not enough to rival the Pixel 3. I also can’t help but be disappointed that the version of the G8 we’re getting in the US only has two cameras. The flexibility that the triple-camera system offered in last year’s V40 went a long way in helping me overlook some of its inherent issues, so LG’s decision to only go with two main cameras here feels surprisingly restricting. That’s especially true when you consider that some versions of the G8 that are available outside the United States actually have a triple-camera system. 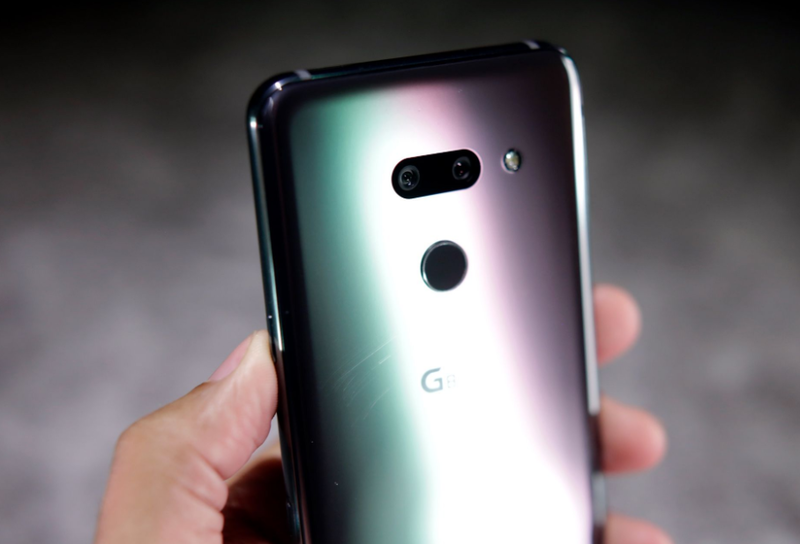 In fairness to LG, I personally don’t find telephoto cameras on smartphones nearly as useful as I find ultra-wide cameras, but making that third long-range camera available on all G8 models would certainly have made it a more credible threat to devices like the Galaxy S10. The eight-megapixel front-facing camera produces similarly adequate selfies, and it’s a little better at telling a photo’s subject from its background than the V40. That’s all thanks to the other camera LG built into the G8, which also happens to be the phone’s most interesting feature. LG calls it the Z Camera, but some of you might know it a little better as a time-of-flight sensor. Here’s the gist, in case you’re not familiar: Time-of-flight sensors emit and capture infrared light to figure out their distance from a subject and generate depth maps. Those maps are used to make your portrait selfies better, but more importantly, they also allow the G8 to recognize hand gestures you make in front of the camera. See, with the G8, LG wanted to explore the idea of a phone you could control without having to touch it. It’s a tantalizing concept, especially since we’re starting to see phones move beyond the standard slab designs, and LG’s work here represents the first step down a potentially game-changing path. All that said, though, actually using LG’s so-called Air Motion commands is… pretty bad. For now, Air Motion is pretty limited in scope: You can use it to open apps (but only two of them), play and pause media, and control the phone’s volume. To do any of those things, you first have to hold your hand between five and eight inches away from the camera and hope the phone notices. (After a week, trust me when I tell you this is not a given.) 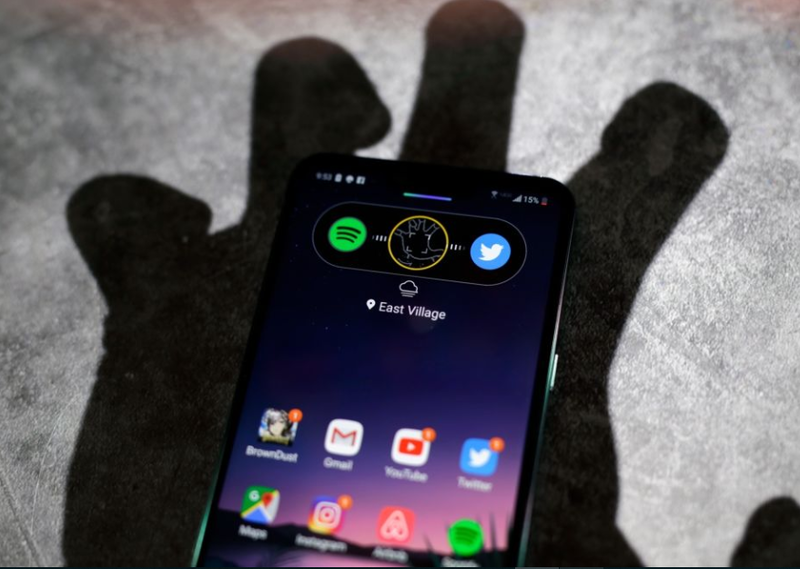 Then you bend your fingers into a sort of claw, and, if you’re anything like me, move the claw around again in hopes that the phone notices that. Then, with one final flick of the wrist, you open your app or change your volume, or whatever it is you wanted to do in the first place. You can also use these air gestures to dismiss phone calls and silence alarms, if you don’t mind taking a few extra seconds to wiggle your hand in front of your phone. Most of my alarms, however, are set with the hope that I’ll somehow wake up, and I’m definitely not going to bother with Air Gestures then. Know what can handle most of those tasks in less time, and with much less hassle? Google Assistant. LG clearly thinks it’s important because it built a Google Assistant directly into the phone. This is the part that puzzles me the most: LG had a perfectly usable way to control the G8 that’s actually much more convenient. It honestly feels like LG developed a time-of-flight camera in a lab somewhere and needed to do something with it, so the company decided to build it into the G8 with little regard for whether people would actually find it valuable. I could say the same about LG’s remarkably clever Hand ID feature. The company says the G8 uses that time-of-flight camera and infrared light to peer through your skin and recognize the unique latticework of veins in your hand. Sounds impressive, doesn’t it? It’s a shame, then, that it’s a total pain to deal with. Setting up Hand ID is straightforward enough: Hold your hand up in front of the camera and slowly move your palm toward it until the phone says it’s had enough. I’ve been testing the G8 for a week now, though, and despite multiple attempts at registering and re-registering my hand (or veins, or whatever), I’ve only recently been able to get the feature to work as intended. Be prepared to go through the setup process a few times before Hand ID actually starts to play nice. Even then, getting Hand ID to work consistently is difficult. When you use the fingerprint sensor on the back of the phone, you roughly know where to stick your finger. And when you try to unlock this thing with your face, the G8 does a good job of identifying you, even at an angle. With Hand ID, though, getting your palm right where it’s supposed to be in front of the camera is more frustrating than it should be. The G8 does give some on-screen directions, like “Move toward the top of the screen” and “Move a little to the right,” which only occasionally seem to help. More often than not, it took several tries to actually unlock the phone with my palm. And since Hand ID only works when the screen is on, you’re going to have to touch the phone anyway to wake it up. There’s an option in Settings that allows you to “cover the screen to wake it and then use Hand ID,” but surprise, surprise: That didn’t seem to do a thing to help. What makes all of this even more frustrating is that Hand ID is a legitimately interesting idea. When you have to put up with this many caveats to use it, though, I have to wonder why LG even bothered. 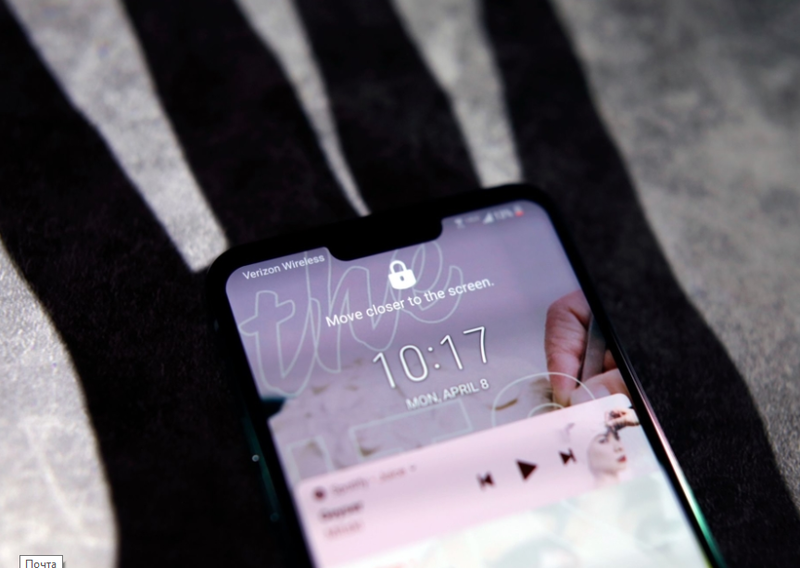 Ultimately, the G8 ThinQ has a powerful foundation, and you could argue it’s not a bad choice if you care about solid smartphone audio above all else. Its cameras aren’t too shabby either. But when you consider the strength and polish of other flagship devices we’ve seen so far this year, the G8 can’t help but seem lacking. After all, it’s a bad sign when the features that set this phone apart from the competition feel like kludgy afterthoughts. At its best, the G8 is an unremarkable device that does a lot, but not better than any of its rivals. At worst, it’s an uneven attempt to innovate for innovation’s sake, and with any luck, LG takes a long, hard look at what it made and learns a few lessons.